ESP Packaging warrants that the products supplied will be manufactured in accordance with industry standard specifications and tolerances. In addition, the ESP Packaging warrants that it will convey good title to Buyer, free of all liens of any kind whatever and that such products will be of merchantable quality. ESP Packaging specifically disclaims any liability for any collateral or consequential damages, and liability is hereby limited to the replacement of the product shipped, upon the condition that notice is sent by purchaser to seller within thirty (30) days after delivery of the products to the original purchaser. 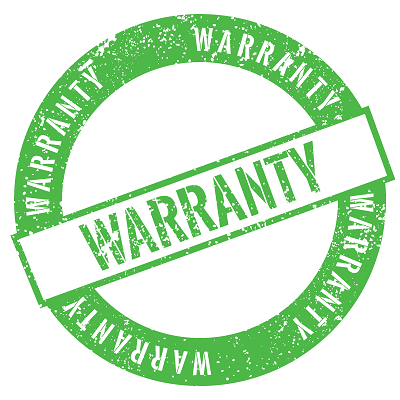 ESP Packaging makes no other warranty of any kind whatever, express or implied, and all implied warranties of merchantability and fitness for a particular purpose which exceed the aforementioned obligation are hereby disclaimed by ESP Packaging and excluded from this agreement. ESP Packaging does not warranty the suitability of materials, certification of materials, or bag configuration for any specific application. The information provided by ESP Packaging’s staff members is intended as a guideline to be used by the user and/or distributor with all available information to determine suitability of materials for specific applications. Stock Bags: Stock bags can be shipped back to ESP Packaging for restocking if they are in new and unopened condition subject to a 25% restocking fee. Shipping and handling fees are not refundable. Custom Bags and Printed Bags: Custom size bags, and printed bags cannot be returned. Defective Goods Claims: In the event that a defect in material quality and/or workmanship is claimed, ESP Packaging is to be notified of issue within 30 days and be sent samples of the product. Upon inspection of the samples by ESP Packaging, if it is determined that the product is defective, the defective product is to be shipped back to ESP Packaging. ESP Packaging will replace defective items at no cost to the customer, normal shipping and handling charges apply. In the event that legal action should become necessary to collect on an invoice, the Buyer agrees to pay all court costs and attorneys fees that are incurred by ESP Packaging which are allowed by law. The values indicated for bag or film weights, bag volume, bag measurements, and specifications are approximations given as indications and should be considered as average values and given without any obligation on our part. Material specification data was provided by our film suppliers.